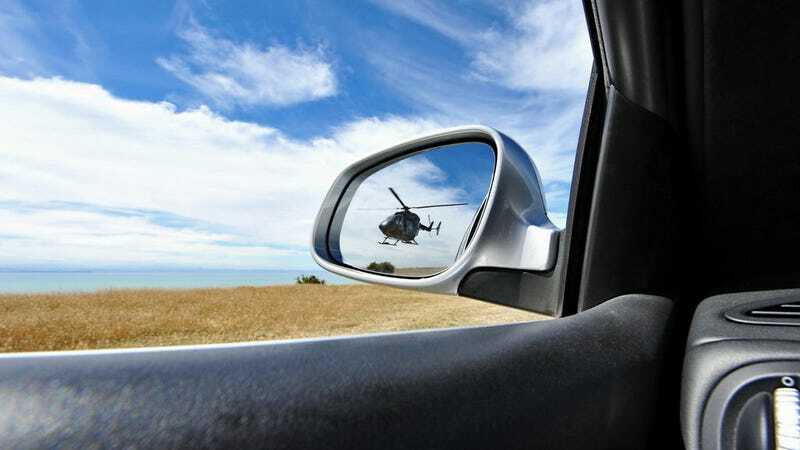 Kim Dotcom just posted an image of a helicopter chasing his car. Is that the New Zealand police? The FBI in a rented helicopter? The press? A playful friend? He hasn't shared any more details, but it's pretty amazing, in a Ray Liotta's Goodfellas kind of way. Update: Kim just told us that this is not his helicopter. Stay tuned for more updates.